Do dolphins secretly have it in for us? You can watch that video and rationalize it any way you like. But we all know the truth. That was no accident. No dolphin would choose to exert more energy to propel itself out of the water instead of swimming deeper, unless it was intentional. Not convinced? Look at this report from a few years ago. That’s right. It reads like a satire article. Even I thought it was at first. But no, the dolphin was vicious. 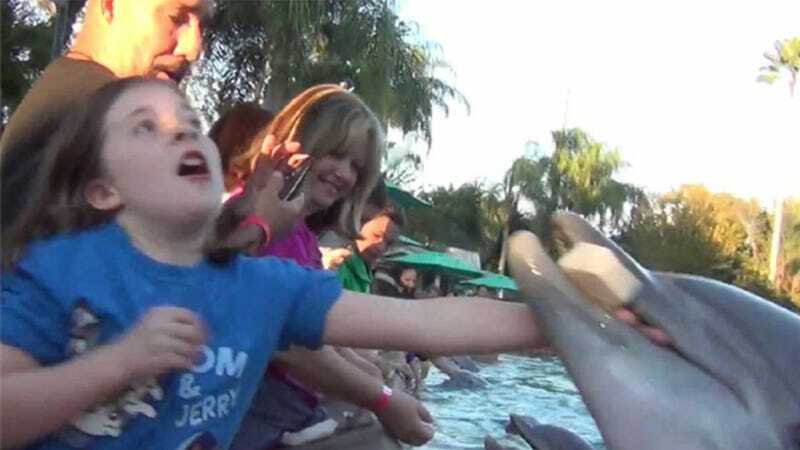 Their mistake was letting the dolphin go free. Where’s the due process? This is, at the very least, assault in the third degree. We all know dolphins are not mindless creatures. They’re intelligent and they communicate. Who knows what sort of nefarious plans they could have. We all know about the things that the Simpsons predicted. In the episode “Treehouse of Horror 11" dolphins took over the world and drove humans into the sea. If I see a Dolphin growing long, thin mustaches. I’m calling the police and the Hawaii Institute of Marine Biology.